Who can live at Good Shepherd or Shepherd of Grace Cottages? People who have minimum to moderate memory loss due to some form of dementia or Alzheimer’s can live in our cottages. 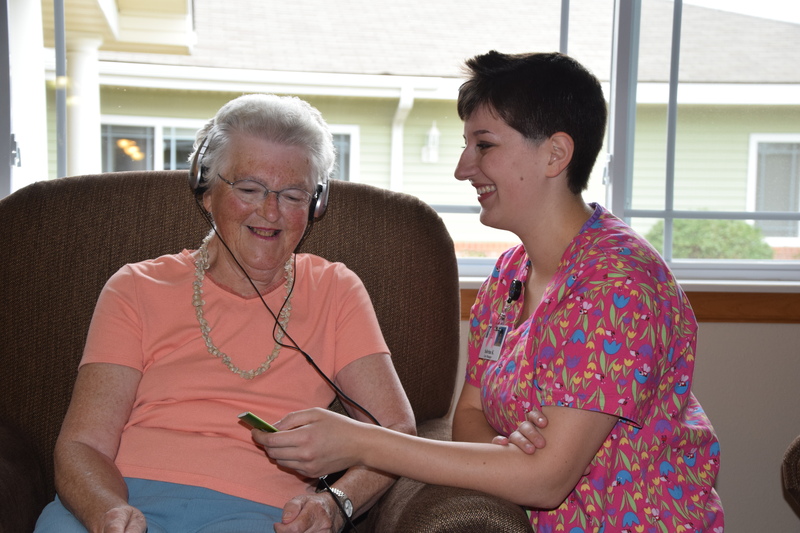 A nursing pre-screening is conducted prior to acceptance to make sure our services can meet the person’s needs. The cottages are a housing with services entity so the cost is rent plus a service agreement. Rent is based on the size of the room and services begin with a basic package plus any hands-on care as assessed. Sauk Rapids Cottages: Rent $931.00 – $995.00 + Services $4,554.00 – $6,174.00. All our bedroom suites are private. The Sauk Rapids Cottages have 3 sizes of suites. Good Shepherd accepts private pay, long-term care insurance, and Elderly Waiver through the county at both the Sauk Rapids campus and the Becker campus. Good Shepherd typically has waiting lists for our cottages, however, there is no cost and no risk to put a name on our list. Simply fill out an application. Once your name comes to the top of the list and you are offered and accept a suite, then there is a small application fee charged to process the application, conduct a criminal background check and any landlord verifications.